Russia 3-7 Spain Spain won their seventh UEFA Futsal EURO title with a superb victory by a record margin in a final. 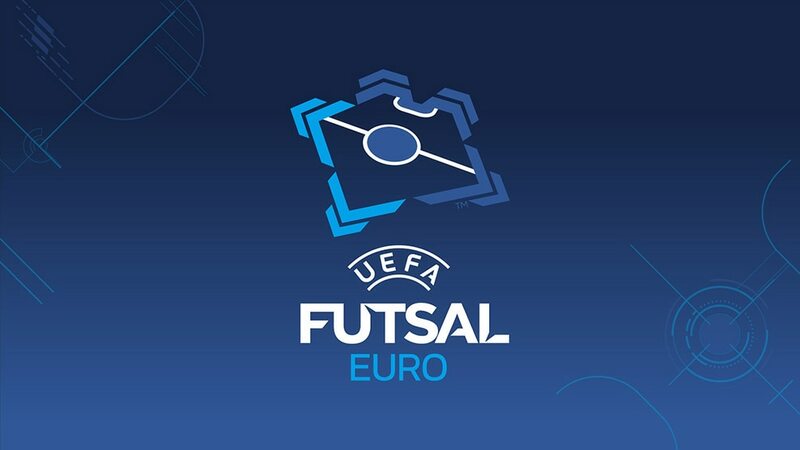 Spain claimed their seventh UEFA Futsal EURO title in ten editions as Russia were never able to recover from falling 4-0 down in the first half of their third straight final loss. It was a tight start but Miguelín, superb throughout this tournament, hit the bar in the fourth minute with an acrobatic effort, while at the other end Paco Sedano did well to deny Dmitri Lyskov. Spain led when Alex volleyed in a kick-in to move top of the Golden Shoe rankings, and Pola showed quick feet to double the lead after Mario Rivillos won the ball in the middle. Rivillos scored from an Ortiz kick-in, then seconds later Pola produced a superb turn, shot and back-flip, only for Romulo to pull one back just before half-time. Russia pushed hard at the start of the second period, but Gustavo was also called into action several times to keep his side in it. With Romulo as flying goalkeeper, Russia were pressing, but they were missing 2014 Golden Shoe winner Eder Lima, suspended after a semi-final red card against Serbia. Spain had won 26 games in succession since losing 4-3 after extra time to Russia in the 2014 semi-finals and there was little danger of it not becoming 27, especially after Miguelín broke from deep and tapped into an empty net, though Robinho did reduce Russia's arrears. The Spain goals kept coming. Miguelín and Rivillos both registered from distance – meaning they share the Golden Shoe ahead of Alex on assists. Ivan Milovanov replied with a back-heel, but it was much too late for Russia. Spain went into the finals without key attacking players like Sergio Lozano, Fernandao, Adri and Aicardo yet were unstoppable with three players managing six goals – and of course their record haul today. They took their chances in the first half and there was no way back for Russia. Spain have perhaps never been as dominant in any of their two FIFA Futsal World Cup or seven UEFA Futsal EURO triumphs. From Sedano at the back to pretty much everyone outfield, they all performed superbly, with Pola and Rivillos special revelations and Miguelín brilliant. Only once did they trail, very briefly, to Kazakhstan. Russia were never at their best in this tournament yet made a third straight final. With Eder Lima available it might have been a different story against Spain, but in truth they fell short of their semi-final performance two years ago, which perhaps pushed their opponents to the heights they achieved tonight.